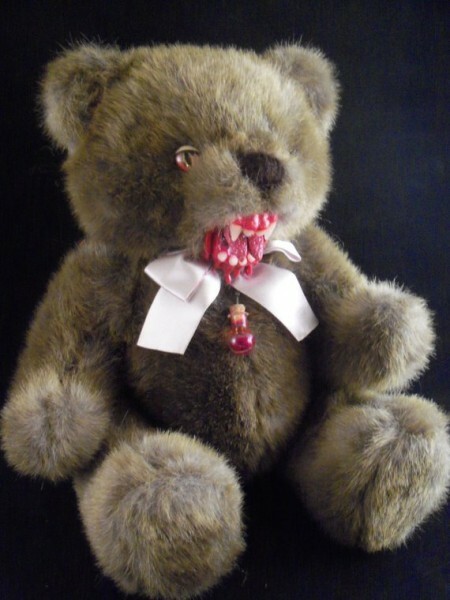 Vampire Plush Teddy Bear is 13.5" overall. 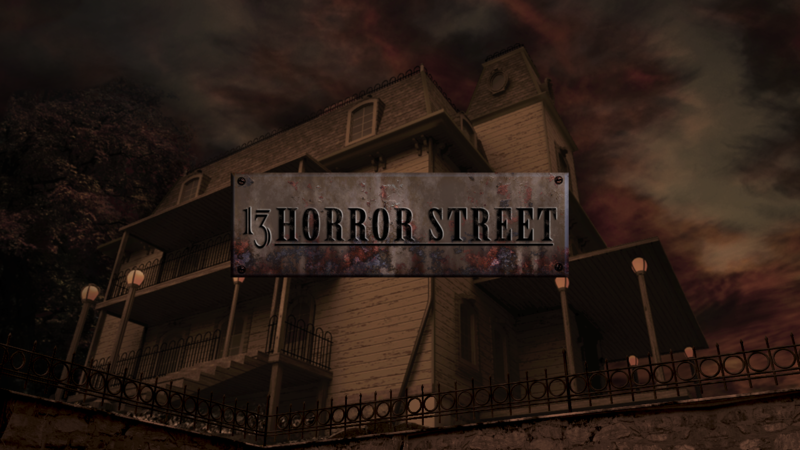 It features realistic creepy glass eyes as well as hand sculpted and painted embellishments. This little vampire is poseable and wears a vile of blood charm. It's hand altered and 100% OOAK. Awesome Haunt Prop. Perfect for the vampire fan who has it all! Act fast he's only availible for a limited time! 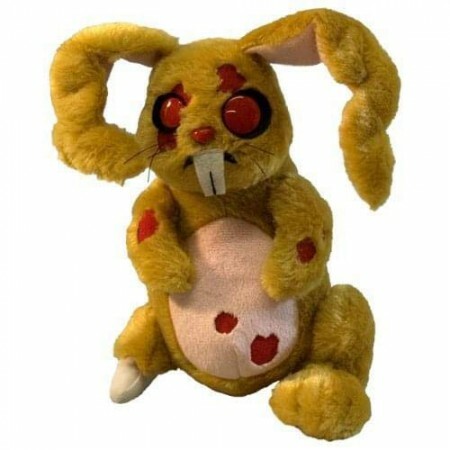 These plush dolls are loveably freaky and ghoulishly cute, because even the un-dead need a best friend. Here we have Lucky – an undead bunny who’s luck has run out. He features an exposed calcaneus bone and floppy ears. 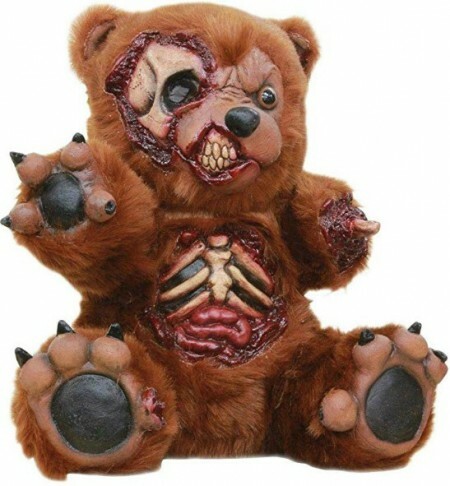 A latex prop that looks like a torn-up teddy with parts of torso and skull exposed. Perfect for your haunted display, or for your undead Valentine.